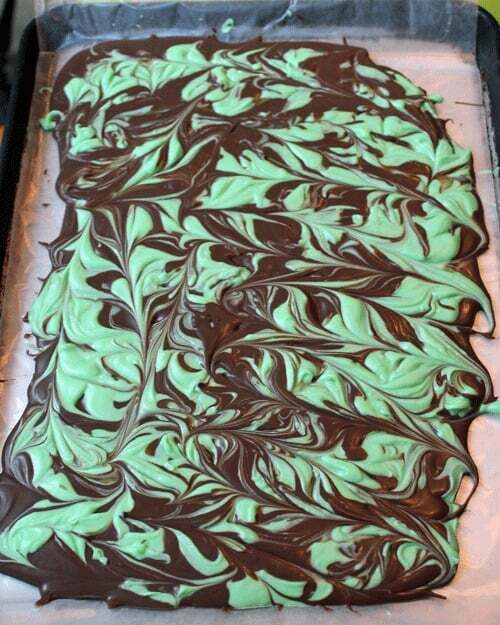 Mint Chocolate Bark - Chocolate Chocolate and More! If you like Andes Mints, you will love this Mint Chocolate Bark! 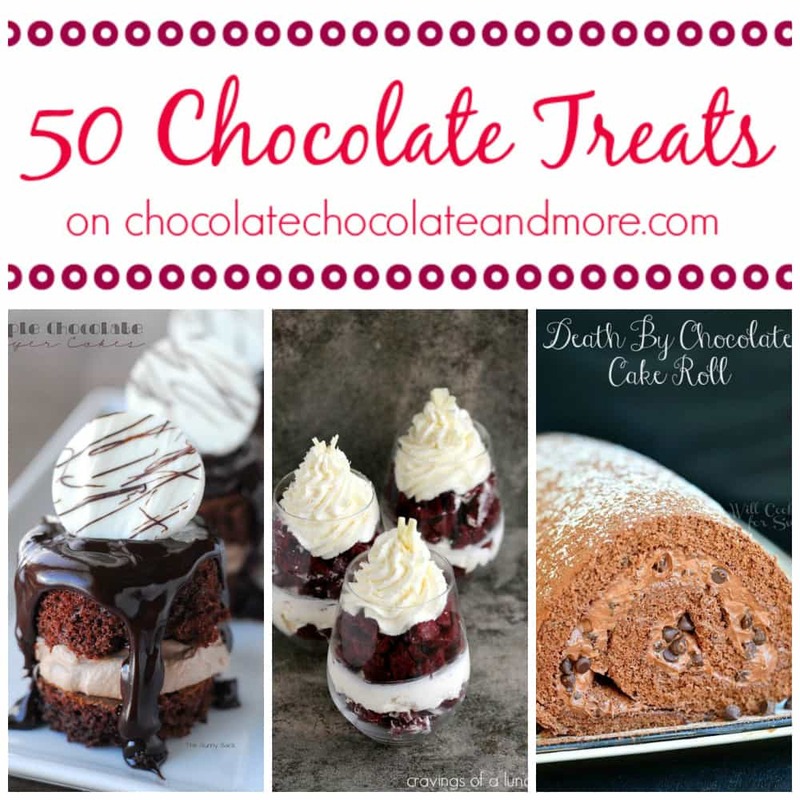 It’s time for the Chocolate Party! I have to tell you I was excited about this months combination. Chocolate and mint. So many possibilities. Then Thanksgiving came along and all the sudden, I was behind. On playing with this combination. I waited till the last minute. Yes, I was also that kid in school that would wait till the night before to write a 20 page term paper. It was no big deal, I had an idea in my head, it sounded so good. I just had to make it, take photos, blah, blah, blah. It was a disaster. I had some other peppermint things I wanted to make later this month but, I just didn’t want peppermint for this. Everyone’s dipping candy canes in chocolate this time of year. I was completely lacking inspiration. Then I stumbled onto Caramel Potatoes blog. And her Thin Mint Cookie Bark. She used special chocolate chips to make it. So easy! But I didn’t have the chips. But I did have lots of chocolate! This is just a sample of my stash. This time of year, I have a whole cabinet devoted to to it. 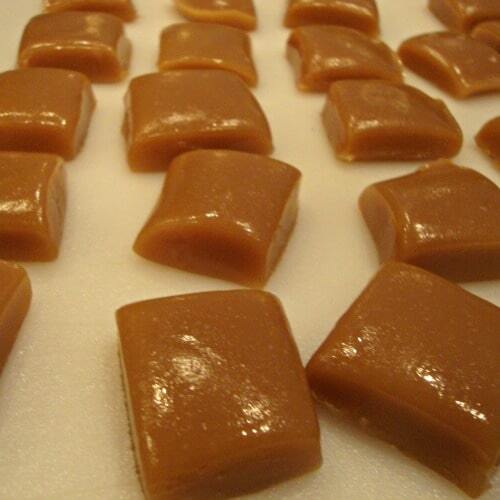 Candy Coating or Bark, is easier to work with than Chocolate Chips when it comes to candy making. It’s already been tempered to harden back up after being melted, just like a candy bar. I was all set. Let me tell you, this Bark tastes just like an Andes Mint. Just like it! My taste testers were asking for more. The words “this is some good sh**” were heard. And so easy to make. For more information on the Chocolate party, go visit my friend Roxana. Melt barks in separate pots. Do not thin with shortening or oil. For the chocolate bark, once melted, add 1-3 teaspoons on mint extract to taste. For the white bark, add 1-3 teaspoons of mint extract and green food coloring. If either bark needs to be thinned a bit, you can now add a teaspoon of shortening. Spread chocolate bark out on a parchment or wax paper lined cookie sheet. Next, drop/drizzle green bark over top of the chocolate bark. Use a toothpick and drag through chocolate to swirl together. Let chocolate cool completely then break/cut into pieces. Always test your extract and food coloring on a small portion of your chocolate, not all blends do well with chocolate. Water based flavors and coloring will seize up your chocolate and ruin it. I like to melt my chocolate in mini crock pots-great temperature control. Be sure to check out some of these other great Mint and Chocolate ideas! Awe, this is possibly my favorite chocolate combination! What a great idea to make a bark out of it, and it’s so pretty, too!! I need to make this – mint and chocolate are the best flavors aside from chocolate and peanut butter! This would make great neighbor gifts I’m thinking 🙂 Thanks for sharing at All my Bloggy Friends, Joan! Thanks so much for sharing this at my party at House on the Way! My son will love this! Have a great week! So easy, gorgeous and yummy! Great to make year round with different flavors. I too waited until the last minute, but didn´t make it! LOL! Oooh!!! I love Andes mints and this bark looks awesome! So pretty! I have a full stash of chocolate this time of year as well! This might be perfect for the cookie exchange I have this weekend. Mint and chocolate rocks my socks. Love this Joan! My favorite chocolate flavor…looks so wonderful! 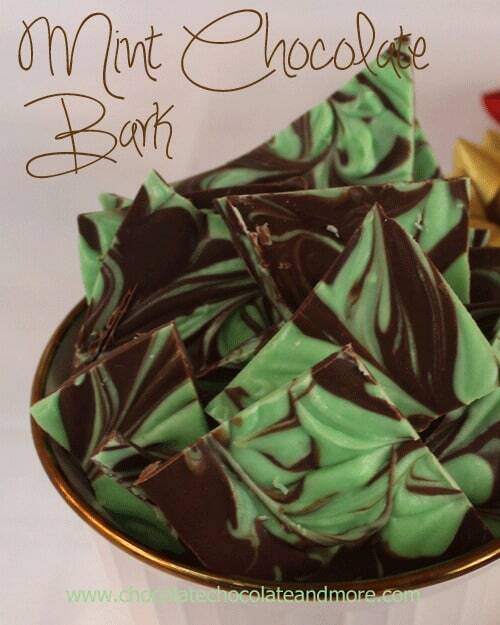 I love bark, your mint and chocolate variation is perfect! Two of my favorite flavors! This is so pretty and who can go wrong with chocolate and mint, definitely a winning combo. You may have felt late but you made up for it with this yummy treat! 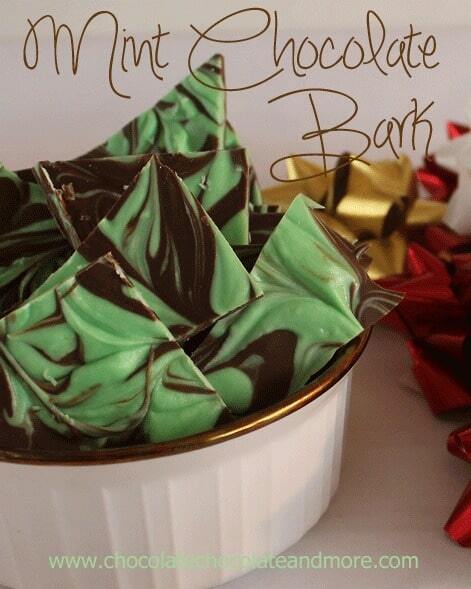 Love chocolate mint bark such a great gift to give at this holiday season. Yours turned out so pretty too! Where would I be able to get the mint extract, without messing up the chocolate? So pretty!! And it’s easy so I could do it too! I am all about the chocolate and mint this month…this bark is gorgeous looking Joan!!! I saw this the other day on Pinterest, and I knew immediately I wanted this! Love how it uses peppermint extract so I don’t have to run to the store for special chips. This is gorgeous bark, Joan! Love the green and brown swirls–sooooo pretty! I am actually crazy for bark–I think I could eat it non-stop during the holiday season. I simply LOVE this bark. I am a complete Andes mint fan, so to make at home, this is brilliant!!! What beautiful bark! I haven’t ever made bark, but this looks like the perfect place to start! ohh Joan, love mint, love chocolate, the two together = heaven ! Love Andes mints. Lets see if I can get the same wonderful compliment from my family as you got from your testers. Literally laughed because that’s so something they would say. Chocolate and mint is currently one of my favorite flavor combos. This looks awesome! This is some beautiful bark, Joan! You don’t even have to break it up for me….I’ll just eat the whole huge piece! Thanks for your notes about testing extracts with chocolate and I think the crock pot is a GREAT idea! Joan, you are just way too much. Have I told you that? Yup, I think I have. The things you make are A-M-A-Z-I-N-G and ALWAYS have me drooling!!!! Unreal. And I LOVE mint and chocolate together – a marriage made in heaven! Thanks for sharing them, my dear, at Wicked Good Wednesdays!! Hope to see what you’ve been up to again next week! Tried this recipe tonight but it was a major fail. The white chocolate doesn’t melt like milk chocolate and it was like a paste and wouldn’t spread over the other chocolate. Oh well. I’m so sorry to hear this, You don’t want to spread the white chocolate. Your white chocolate and your milk chocolate should both be in melted form so you’ll want to drop the white chocolate onto the milk chocolate then use a toothpick to create the swirl effects. What brand flavoring and food coloring did you use as that can change the texture of the chocolate. If there is any water in either product it will seize up the chocolate and cause it to become grainy. One of the greatest combinations ever…gorgeous! could you possibly exchange the mint extract for peppermint? You could just use the Nestlé’s Mint Chocolate chips and melt and swirl. Taste great and looks wonderful also. This looks AMAZING!!! I have a question. Did you use any shortening in your bark? and the chocolate comes in a candy bar form right? and the mint is just mint and not peppermint, right? I can’t wait to try it. Thanks again for posting this recipe. Hi Chris. I usually ad about 1 tablespoon of shortening to my almond bark to thin it a little. The Bark comes in a bog block, usually 16 or 20 ounce package that I find in the baking aisle near the chocolate chips. And yes, I used mint extract not peppermint. Make sure you extract is alcohol based and not water based, a water based extract could cause your chocolate to seize up. Enjoy! I only had water based food coloring and peppermint oil extract. As you said, it caused the bark to thicken and made it unpourable. I let it cool enough to handle with my hands, made a ball (like dough), then rolled it out on parchment paper creating a green mint layer. I the poured melted chocolate bark over it and chilled in refrigerator. I turned out great and I was glad I didn’t throw out the “mistake”! Thanks for your recipe!